For reasons beyond my control, this book seemed to take forever for me to read. I don’t even understand why because every time I picked this book up, I couldn’t put it down. Regardless, I absolutely devoured this book and was just blown away by the writing. 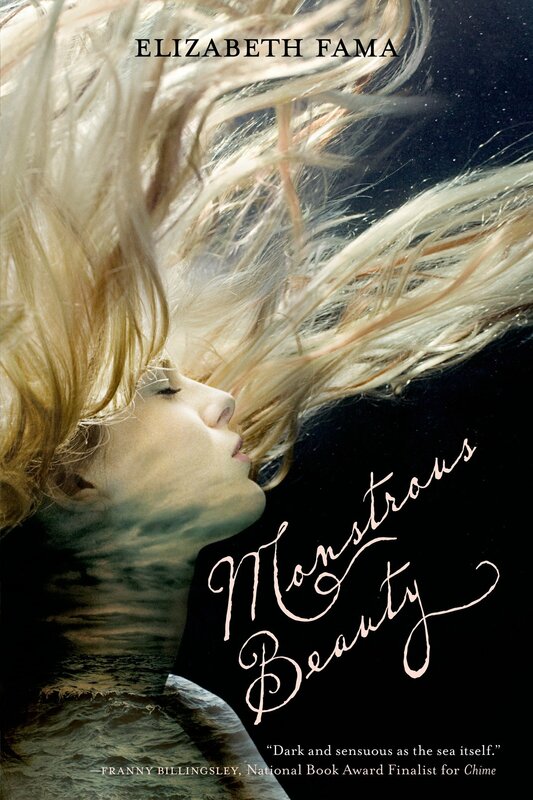 I had read the novella “Men Who Wish to Drown” on my iBooks before starting Monstrous Beauty and it drew me in. This book meets all your paranormal needs. Mermaids, check. Ghosts, check. Curses, check. Revenge, check. The story that Elizabeth Fama tells is one that fluidly moves along. There is rich backstory into the lives of Syrenka, Ezra and the people from the 1800s, and also Hester’s discovery of the past. Two stories are told side by side, and it’s easy for the reader to make the parallels between them. Hester is a strong female lead, extremely independent until she encounters Ezra. It is as if once she finds him, all her logic disappears. What makes it work though, is that later on, she realizes that she threw all her logic to the wind. Hester is a straight laced type of girl, and by the end of the book, you begin questioning her intentions because she gets a bit hysterical. The plot thickens even more though when Hester is taken to an underwater world. I won’t give any spoilers away, but the details and characters there are disgusting. While she makes an escape, she finally realizes that she is the key to make things right in the world. I give this book a 5/5 stars. The story never dulled, weaves together several different paranormal creatures, provides strong primary characters, and while there is a love story, it transcends even deeper. I highly recommend this book to anyone who enjoys a good story with mermaids and ghosts. I don’t think I’ll ever find a mermaid book that will top this one. I want to read this book so bad after reading this review.